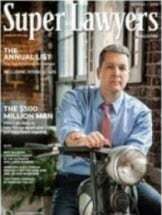 Based in Atlanta, Law & Moran, Attorneys at Law, is one of the most respected personal injury law firms in Georgia. Our law firm has built this strong reputation through superior personal service, a depth of experience and quality results. We dedicate our practice exclusively to personal injury and wrongful death claims, including automobile accidents, boat accidents, aviation accidents, premises liability, slip-and-falls, hotel injuries, defective products, construction accidents, shooting death and injuries, as well as other negligent acts resulting in death or injury. Our seasoned trial attorneys have a long track record of success both in and out of the courtroom. This includes obtaining jury verdicts and settlements in the six, seven and eight figures that rank among the highest in number and size in Georgia history. Our reputation also reflects a dedication to ethical representation, as demonstrated by favorable feedback from past clients, associating counsel, opposing counsel, judges, fellow lawyers and others in the local court system. As our firm helps individuals who have suffered severe injury and those who have lost loved ones in fatal accidents, we are also committed to providing superior personal service. Our legal staff approaches every personal injury and wrongful death claim with a high degree of compassion, working diligently to resolve matters as effectively as possible. That way, our clients can focus on physical recovery or putting their lives back together. Contact Law & Moran, Attorneys at Law, for an initial consultation. We assist clients throughout Atlanta, Georgia and Southeastern States. The law firm of Law & Moran is focused on providing skilled advocacy to clients who have been injured in motor vehicle accidents and to families who have lost a loved one. The attorneys at Law & Moran have significant experience handling premises liability cases. Property owners and commercial establishments have an obligation to ensure that their premises do not present a danger to the public. Construction can be a dangerous job. If you or a loved one has experienced a construction injury, the lawyers of Law & Moran can help.